After a long hard winter in Alberta spring comes and we are waiting for it! For those with allergies, there may be a mixed reaction to spring. I will explain how I think allergies should be approached without having to resort to antihistamines. There are 2 types of allergies. One is what I call “toxic allergies” and “true allergies”. The first type relates solely to the liver. This can be accomplished by going on a cleansing diet with nothing but whole, raw foods (veges & fruit) to doing a juice fast with veges & fruit and herbs that cleanse the liver & blood. 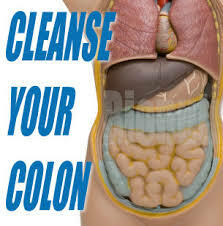 In both cases cleansing the colon is important. The way this works is; when you cleanse your body you are cleansing your blood and liver which will remove toxins from your mucus membranes which make your allergic response either disappear or not as reactive. A clogged liver and colon means a clogged nose/sinuses! Cleansing in the spring is for everyone, not just for those with allergies. But if you do have allergies it is much better to get the toxins out than to “suppress” the symptoms with anti-histamines since one of the ways toxicity shows up is through allergies. Histamine will also disappear with proper water intake. The average person needs 2 to 4 liters of purified, alkaline water per day. Some allergies are simply dehydration! I have seen severe allergies disappear with a “heavy metal cleanse” or by simply using some herbal allergy formulas, allergies have been kept at bay without going on antihistamines. Sometimes simple herbs like Licorice (avoid in high blood pressure) can be helpful, but most often a formula is required and it is individual. The one food that causes a lot of allergies is dairy products and wheat, so avoiding these two items can be very helpful in eliminating allergies of all kinds. 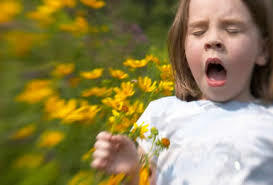 The “true” allergies are usually best treated with homeopathic remedies. These allergies will be apparent when you are done cleansing and will be allergies like; horse, cat, hay fever type allergies. 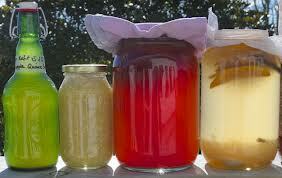 Most chemical allergies are from Candida overgrowth and leaky gut which requires a whole other program of gut healing. But the simple pollen allergies can often be addressed with homeopathic remedies or sometimes even using pollen in very small amounts can help build your tolerance up to pollens in the air. Do this with caution and NEVER do this if you have anaphylactic reactions. Grass allergies can often be dealt with with “Green” powders that contain grasses like Barley Grass & Wheat Grass etc. Again, start small and go up to where you can tolerate a larger amount. These formulas will often give you more energy as will the Bee Pollen. In conclusion, simple allergies can often be treated easily with simple remedies like Bee Pollen or Licorice but more advanced allergies need a formula and require expert advice. Those with Horse and Cat allergies typically need Homeopathic care. One remedy for allergies that everyone requires is DRINK PURIFIED, ALKALINE WATER! Remember 2 to 4 litres at least!